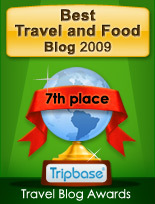 Enjoy - Food & Travel: Been there - done what! A lot has happened this weekend. Here is a short recap of events taking place April 23rd to April 25th. 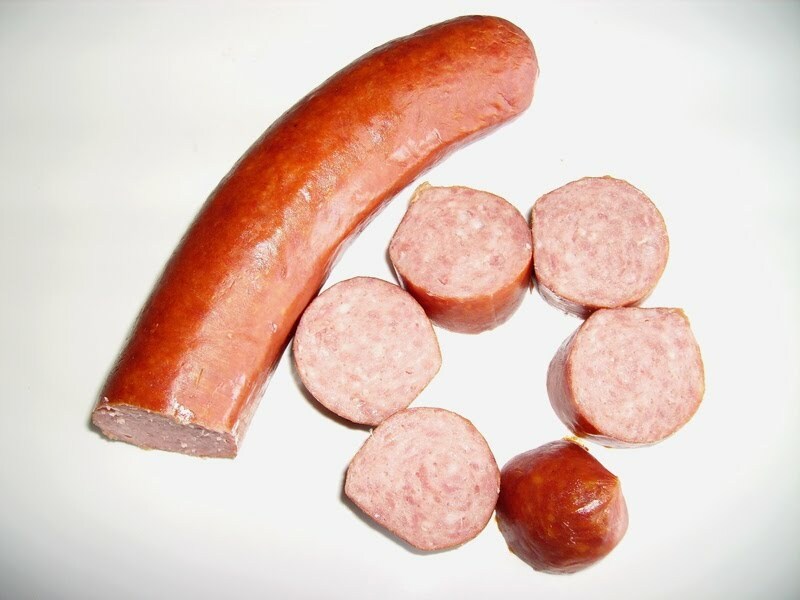 April 23rd: A Habsburg sausage party. I and Enjoy Food & Travel co-writers Susanne and Per Koch visited Göteborg two weeks ago. As already told here, we bought a wide range of East European sausages. Friday night we arranged a sausage fest. Starter: Small spicy sausages on tooth picks, then goulash soup. All the sausages were sliced and baked in the oven with vegetables. So many tastes and textures!! Dessert: Warm brambleberries with vanilla ice cream. 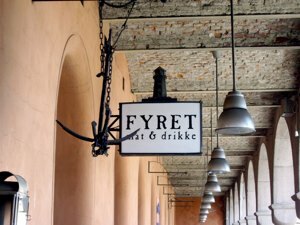 Fyret is a "whole-in-a-wall" restaurant located in the Bazaars at Youngstorget. You may barely move around, but what it lacks in size, it returns in charm. This is a place with loads of atmosphere. What to eat here. Do try the hamburger, made from freshly ground beef. I personally prefer the open sandwich with liver paté, bacon and mushrooms. And what to drink? Do enjoy the food with a cold glass of beer, and a shot of aquavit. Saturday and Sunday I took a stroll in the Botanical Garden, located in my neighbourhood. I love the Botanical Garden in spring. 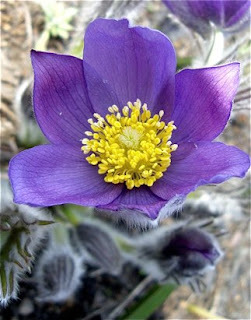 During spring you may see beautiful flowers, as this Eastern Pasque Flower (Pulsatilla patens). The Botanical Garden was the ground of Tøyen manor, a large wooden building going back over 300 years. In the park you can also visit two green houses built in the late 19th century. Victoriahuset was built in 1876 to house the Victoria water lilly (Victoria cruziana). Palmehuset, the other greenhouse, was built in 1868. Until the year 2000 you could admire a huge Canary Date palm (Phoenix canariensis) planted in 1815 by Christen Smith, one of the collections founders. Sadly it died of old age in the first year of its third century. Nice blog...like the stroll in botanical garden. 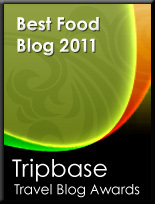 It was nice going through your blog. keep on posting.